Earlier Kant's island was called Kneiphof. The name of Kneiphof comes from the Prussian "Knypabe", which means "Surrounded by water, river". 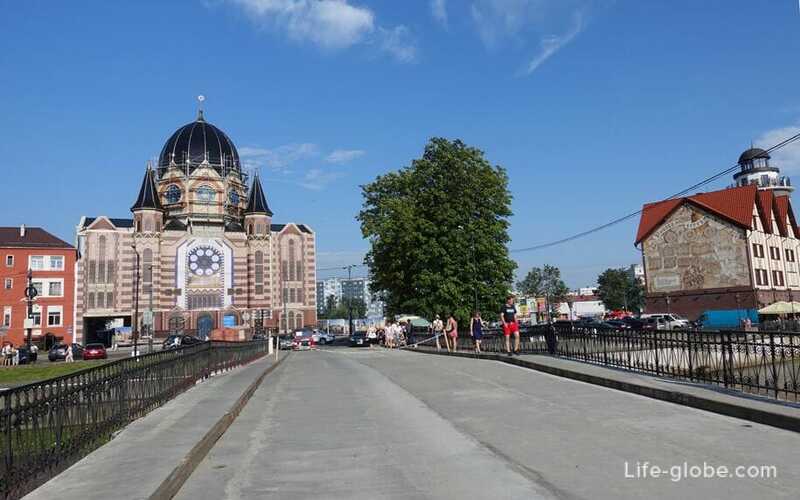 In turn, the main attractions of the island of Kant are: the Cathedral of Kaliningrad, Kant's tomb and sculpture park, as well as the Honeymoon bridge (Honey bridge) connecting the island to the Fishing village. 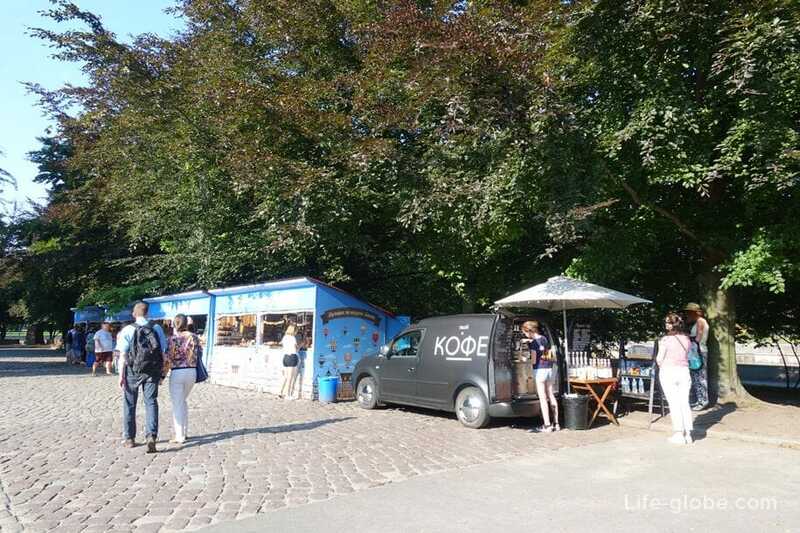 Currently on the island of Kant, near the Cathedral, spend holidays, fairs and other cultural events. 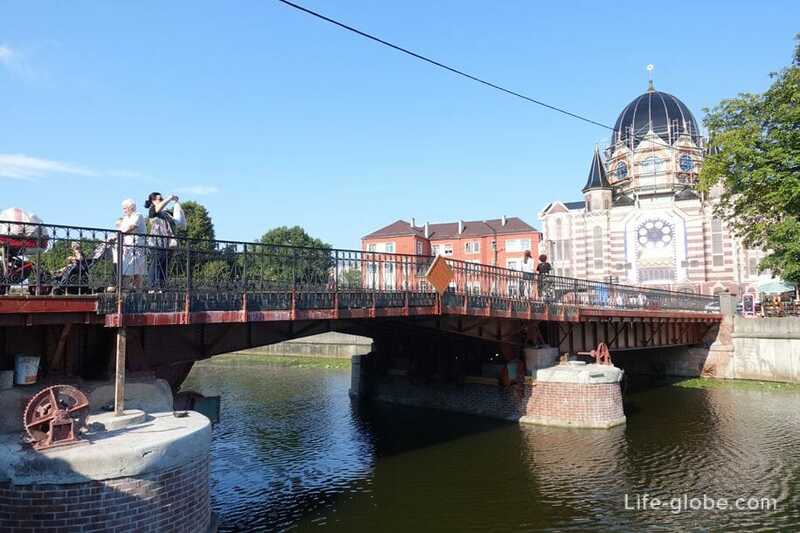 Honey bridge (German title Honigbrücke) - the youngest of the seven bridges of Kaliningrad. It is a pedestrian bridge and travel private transport other than transport directly serving the island of Kant, it is prohibited. 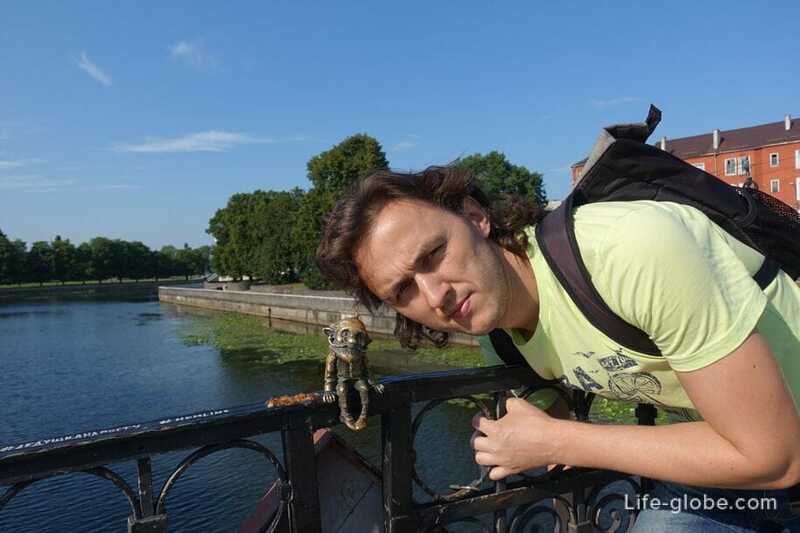 Honey on the railing of the bridge, at its Northern side, is an interesting sculpture miniature sizes - Grandfather Homlin, also known as Grandpa on the bridge. Grandpa Homlin, local interpretation of a house, they live next to people for years and creating the amber. 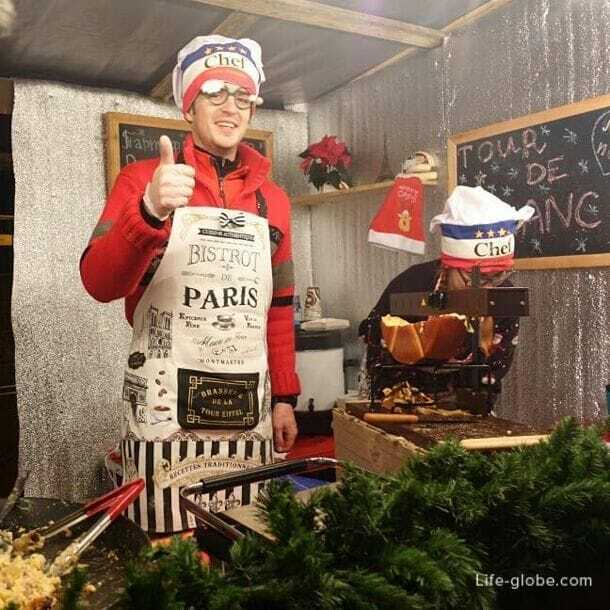 According to legend, Homlin brings happiness and good, so do not pass by and take a picture with this cheerful brownie. 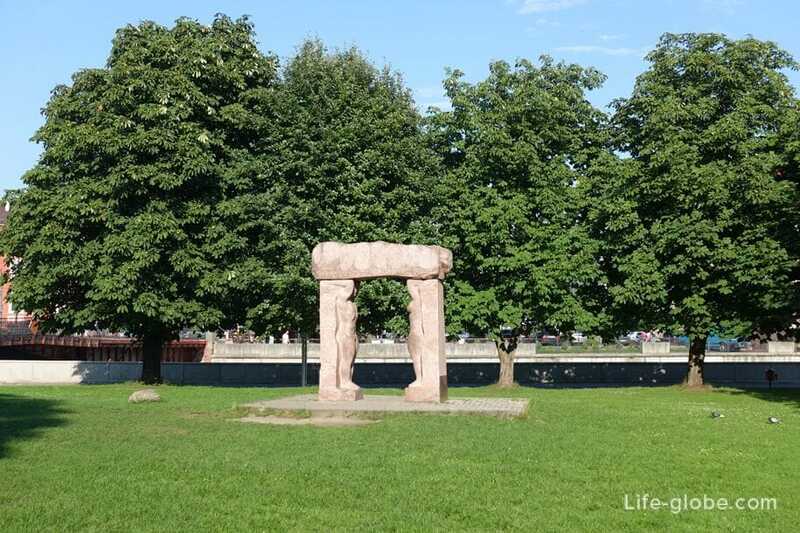 In total, the city plans to install seven of these sculptures and to give them a new tourist route. 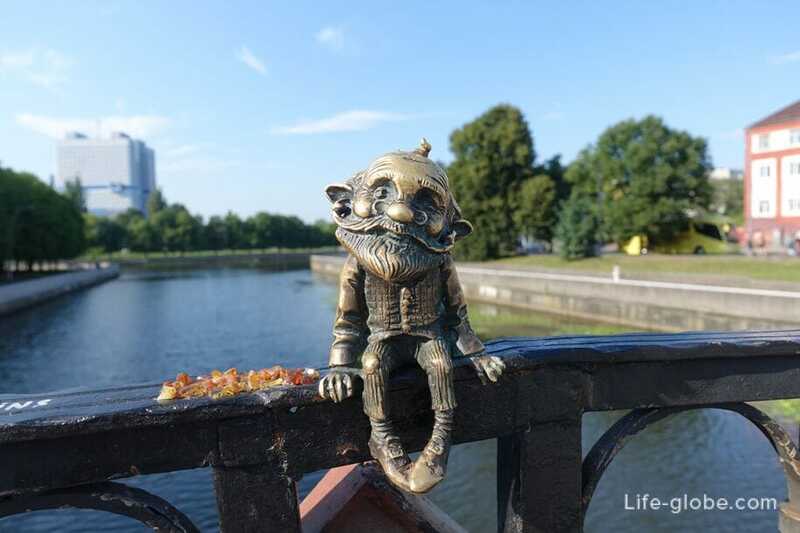 Upon completion of the works, perhaps the "family Homlins" will become the new symbol of Kaliningrad, as gnomes in Wroclaw. 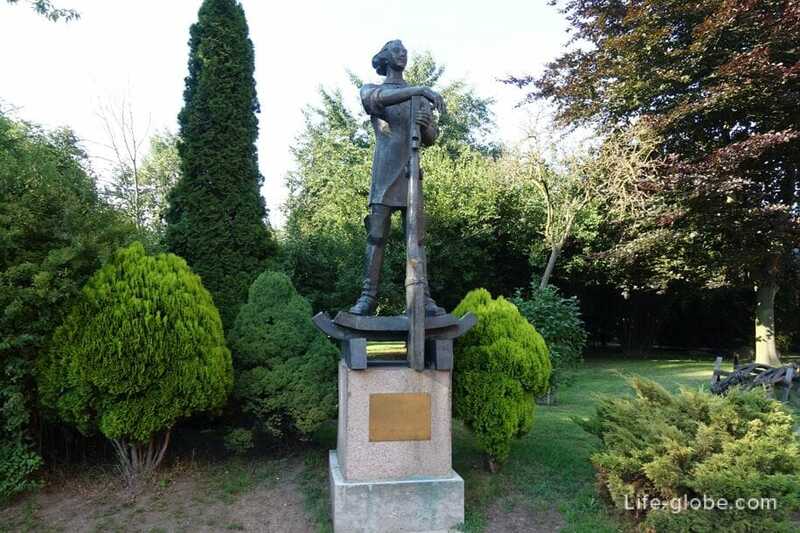 The second mini-sculpture from the Homlins family is located near the Amber Museum and represents Grandpa's wife - “Grandmother Homlin”. 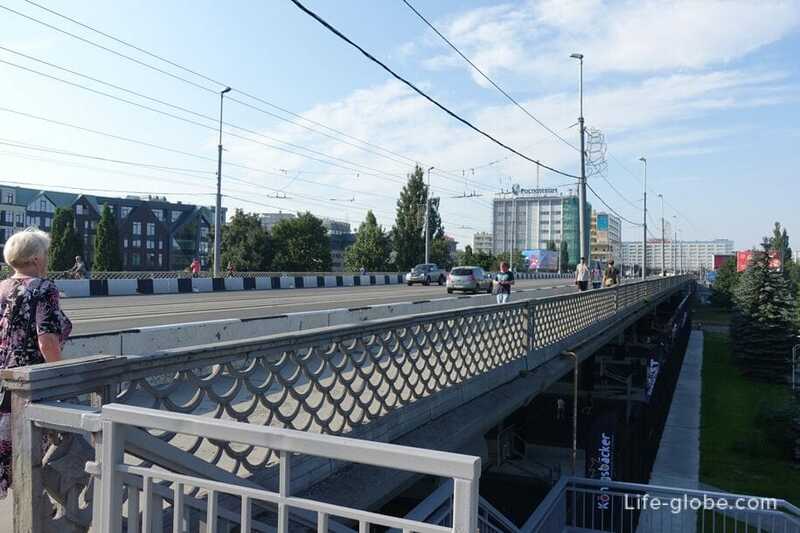 In addition to Honey bridge, to get to the island of Kant can be down from the trestle bridge on Leninskom Prospekt. Other ways to get to the island of Kant - no. 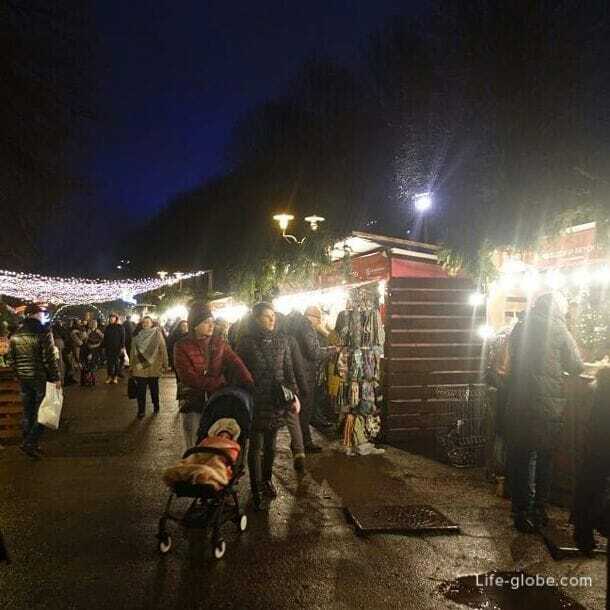 Under an Elevated bridge, the island side of the edge, organized place for outdoor sports. 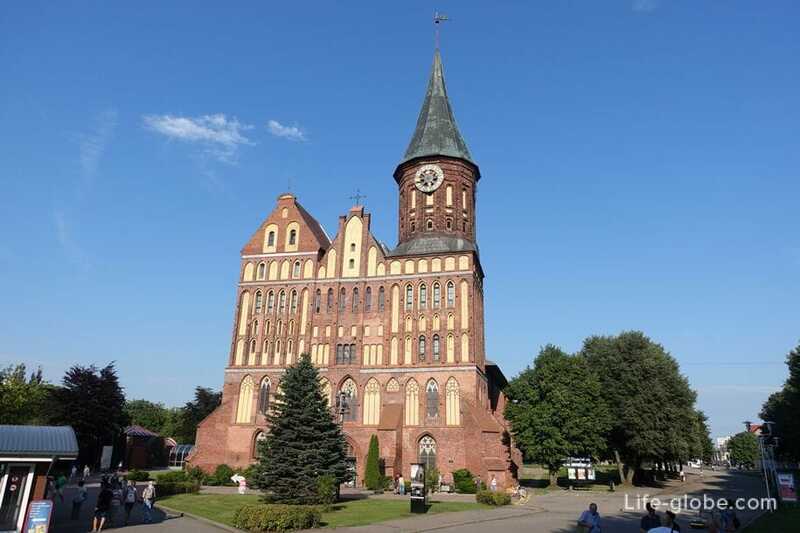 The Cathedral or Cathedral of our lady and St. Adalbert (German name Konigsberger Dom - Königsberg Cathedral) is a magnificent Cathedral, towering gracefully on Kant island and one of the symbols of the city of Kaliningrad. 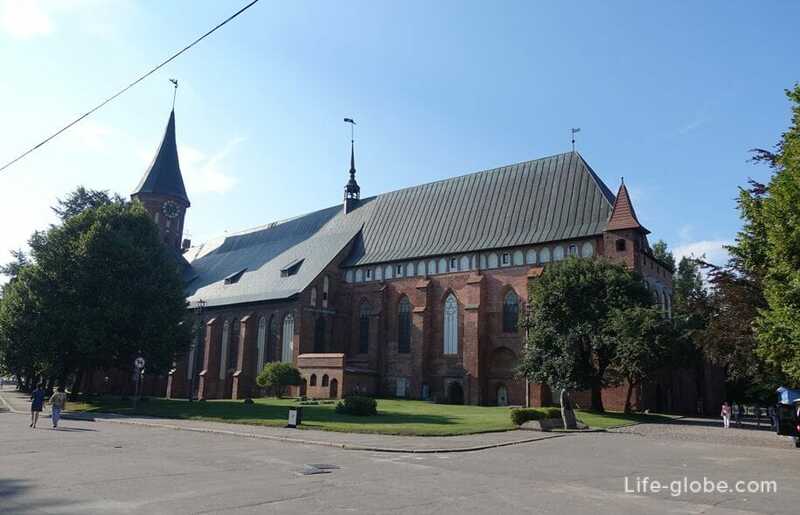 Before Church the reformation of the 16th century the Cathedral was the main Catholic Church of Konigsberg (was dedicated Vysokoosnaschennoe the body of Jesus Christ, the virgin Mary, All saints and St. Adalbert). 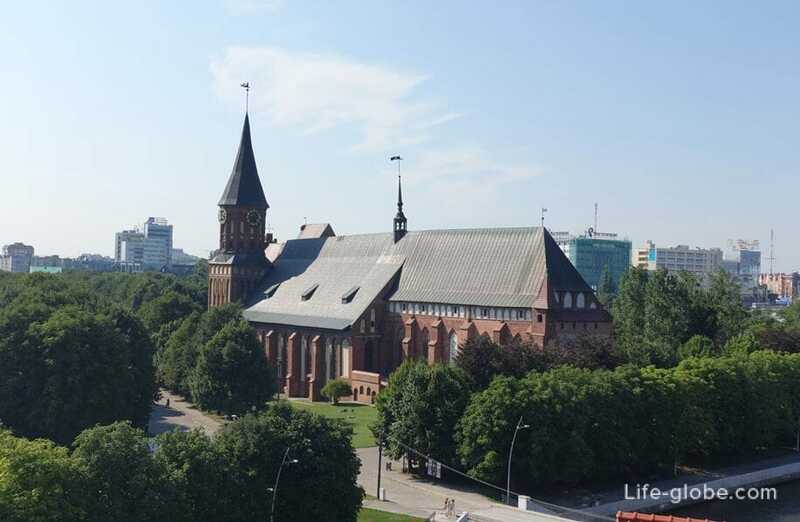 Also, during its rich history, the Cathedral was Lutheran Church of Prussia. 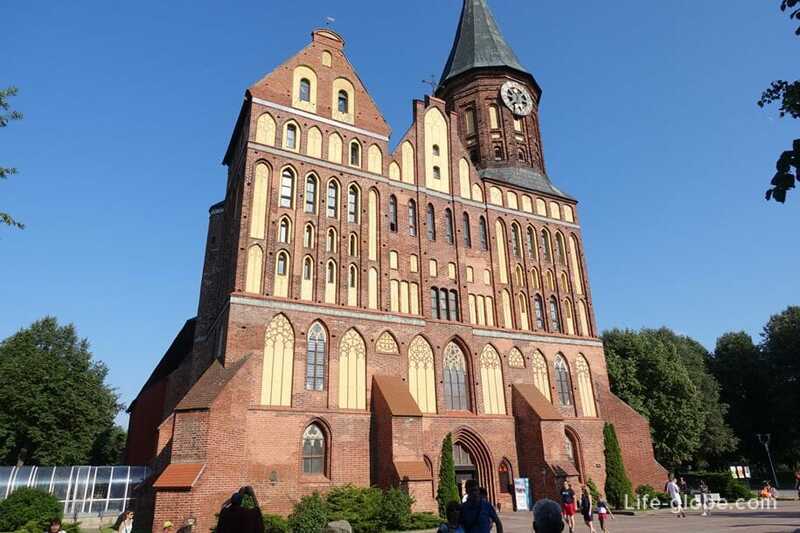 Kaliningrad Cathedral is built in the style of a brick (Baltic) Gothic and is one of the few Gothic structures in Russia. 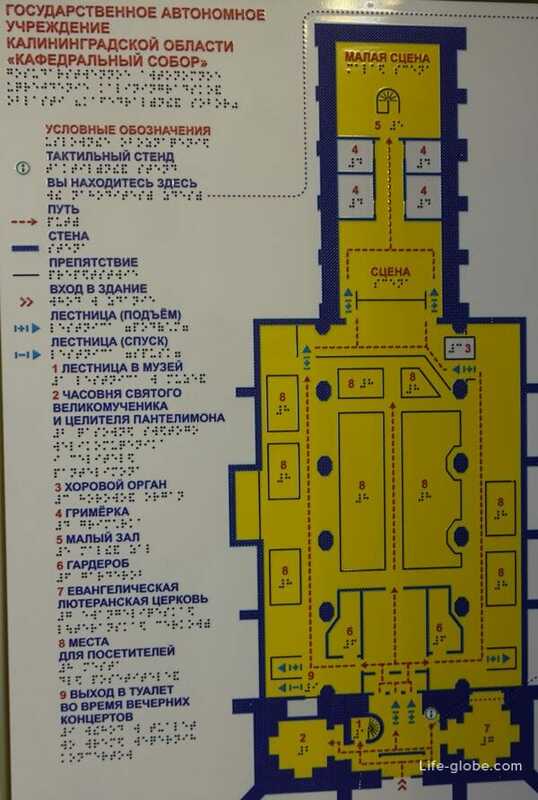 On the outer walls of the Cathedral, on the perimeter, you can see historical elements with epitaphs in Latin and German. Currently, the intended purpose of the Cathedral is not used. 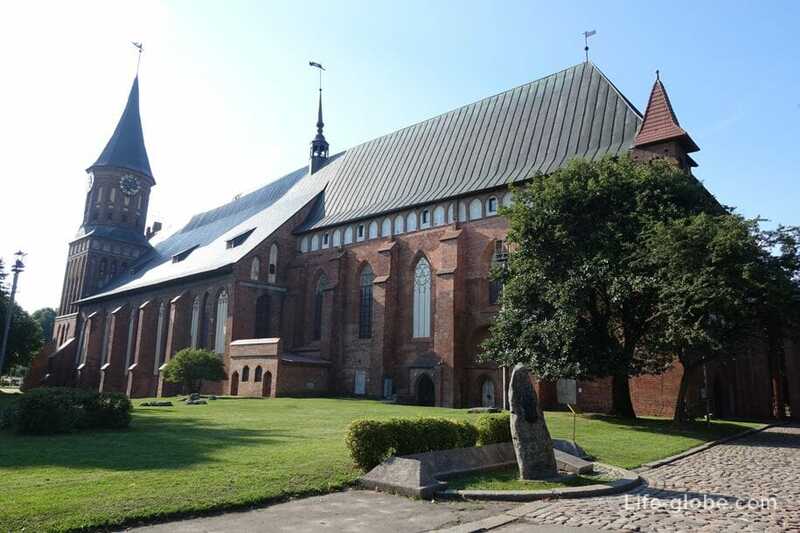 Now in the Cathedral hosts concerts and open a Museum exhibition. In the main hall of the Cathedral is the organ. In the concert hall where the organ afternoon and evening mini-concerts. Duration day organ concert is 40-45 mins, evening - 30 minutes. Average ticket price - 350 rubles. 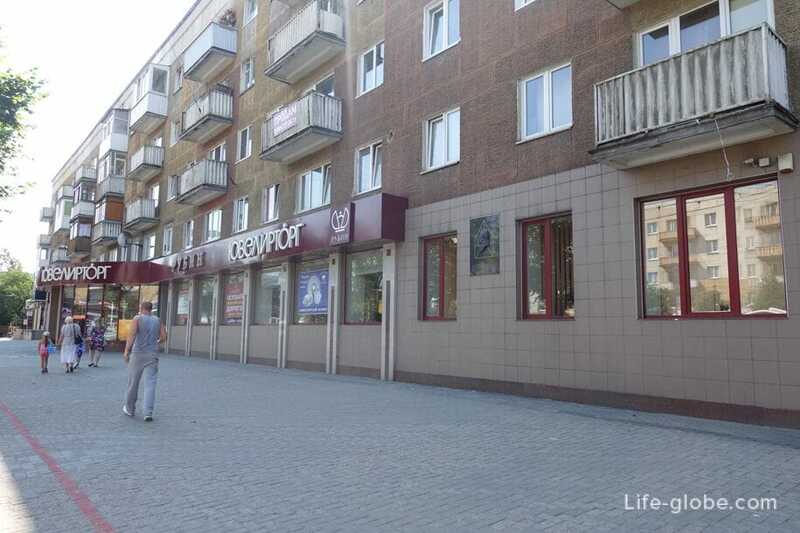 Visit the concert hall, without the right to stay for the concert, it is possible for 100 rubles. 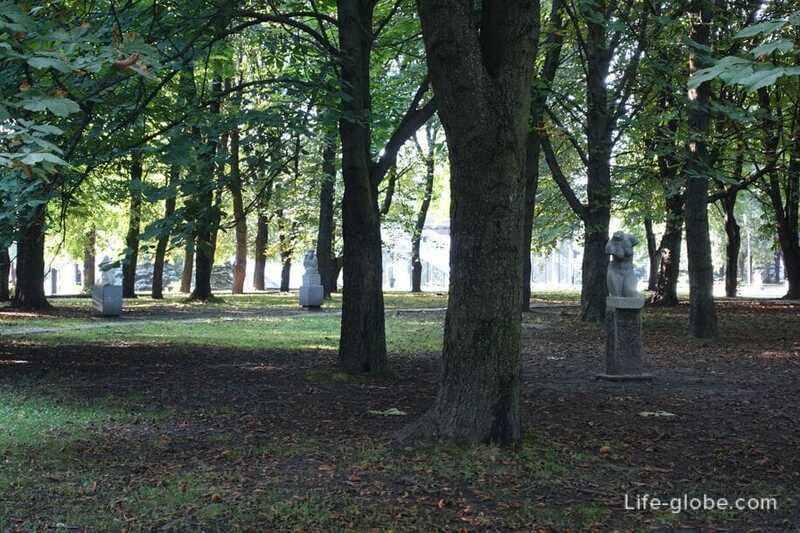 Near the entrance to the concert hall are two stone sculptures of bears, holding in the paws a shield of the coat of arms of Kneiphof. 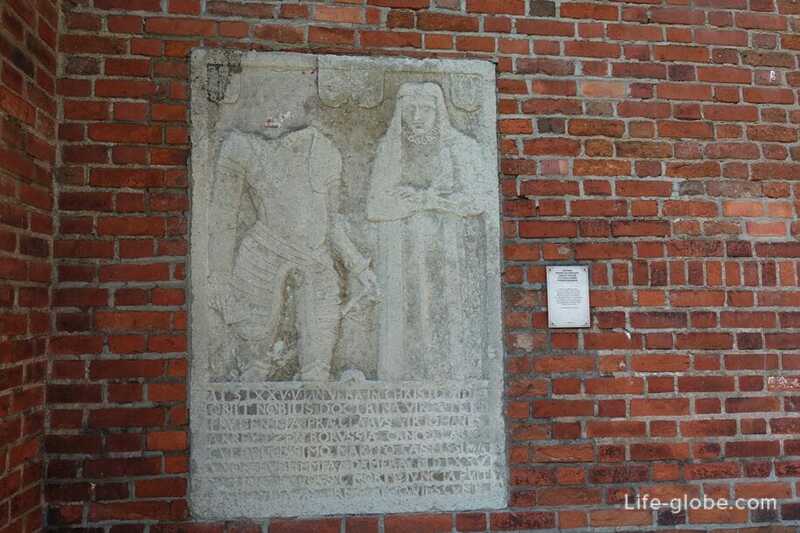 Previously the sculptures of bears were located on the stairs of city Hall Kneiphof and miraculously survived during the Second world war, when the town hall was destroyed. 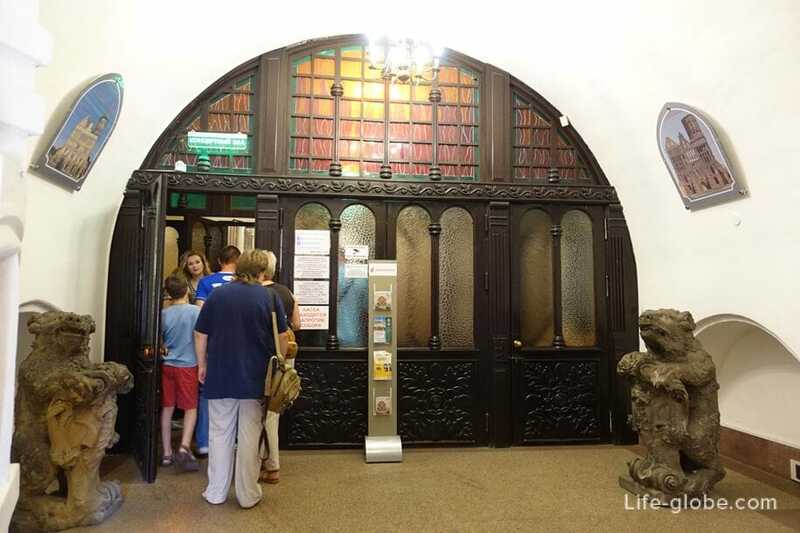 Also in the Cathedral is the Museum of Kant (Cathedral Museum), a small chapel of the icon of the Mother Bijia and the Evangelical Lutheran Church. 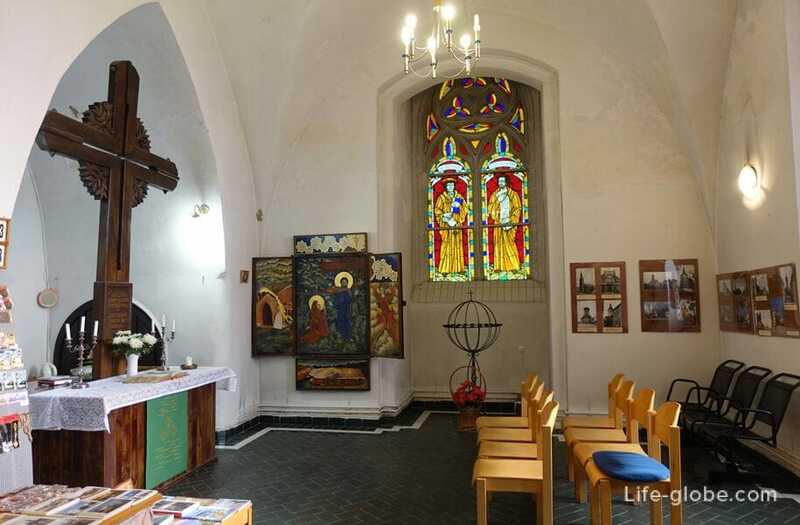 Opening hours Cathedral: from may to september from 10:00 to 19:00 hours, from october to april - from 10:00 to 18:00 hours. 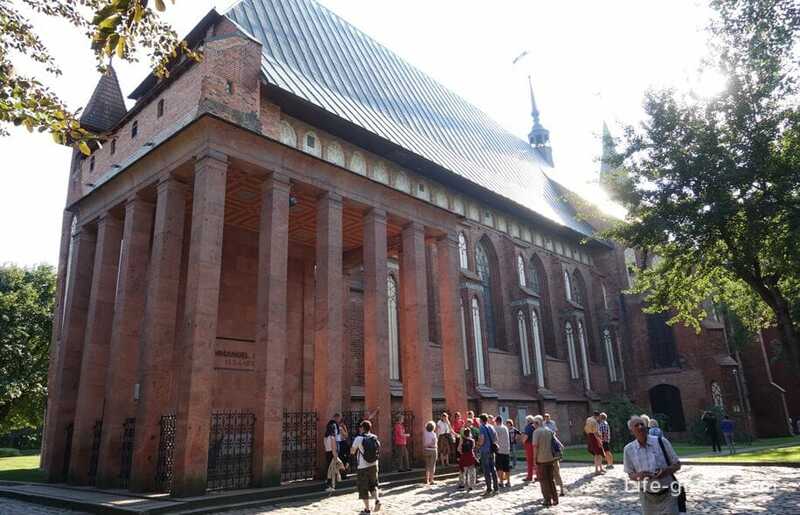 Tomb of Immanuel Kant, located on the North-Eastern side of the Cathedral, gathers near thousands of tourists. 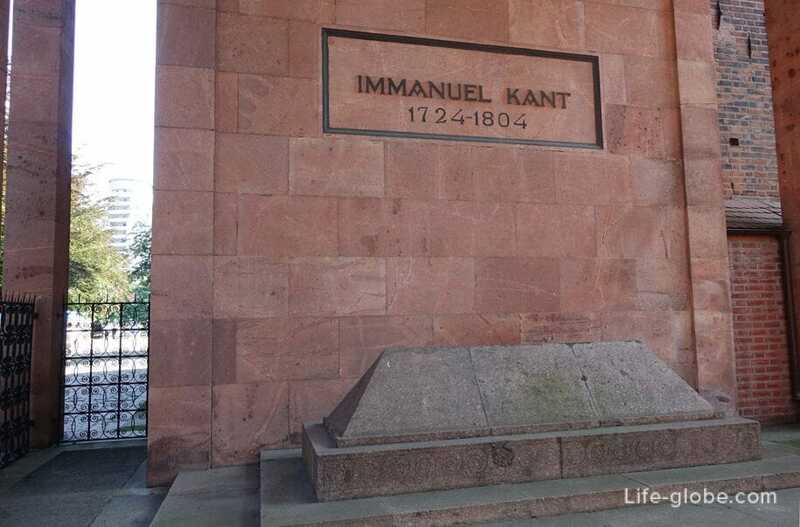 In 1804, in "the Professor's tomb" was buried Immanuel Kant, who became the last person to be buried in the Cathedral. 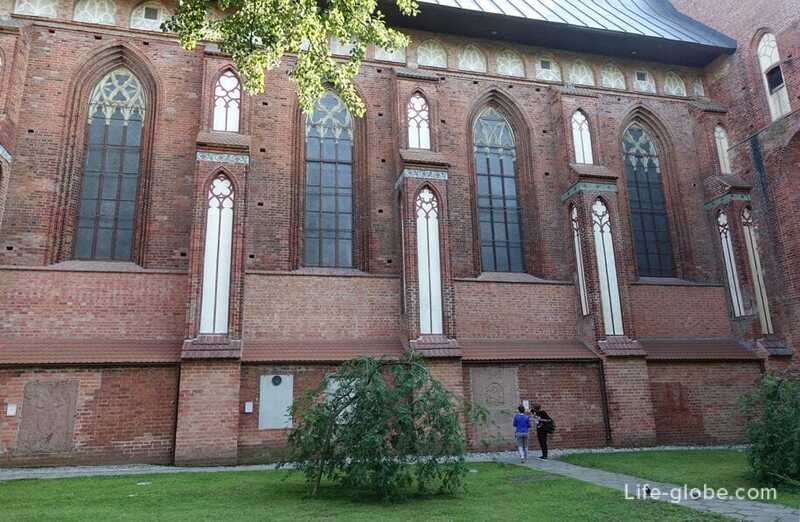 In 1996, the number of works on the restoration of the Cathedral was restored and the tomb of Kant. Column in the tomb you can see the inscription with the dates of Kant and the stone coffin in the Cenotaph. Of Kant's remains in the coffin there, they are deeper. 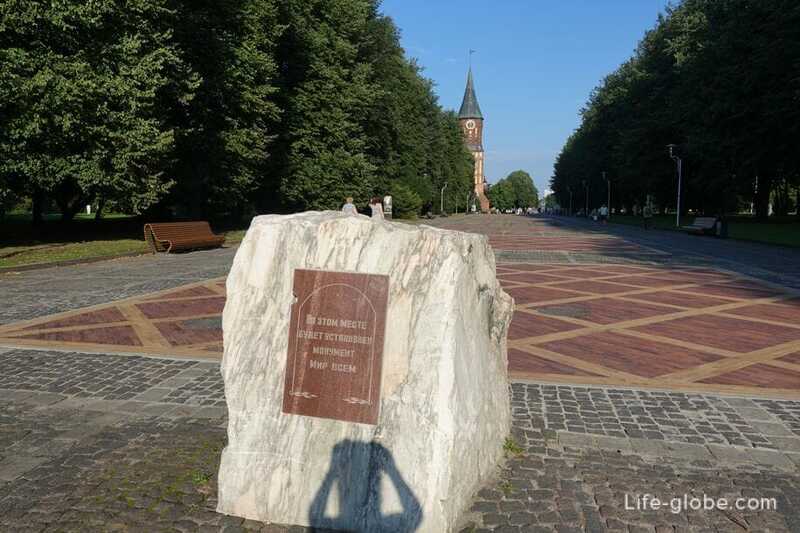 Near the island of Kant, on Leninskii Prospekt 40-42A, on a house you can see the plaque "Here stood the house in which 22.04.1724 was born and lived until 1740 Immanuel Kant". The house in which he was born and lived Kant, has not survived. 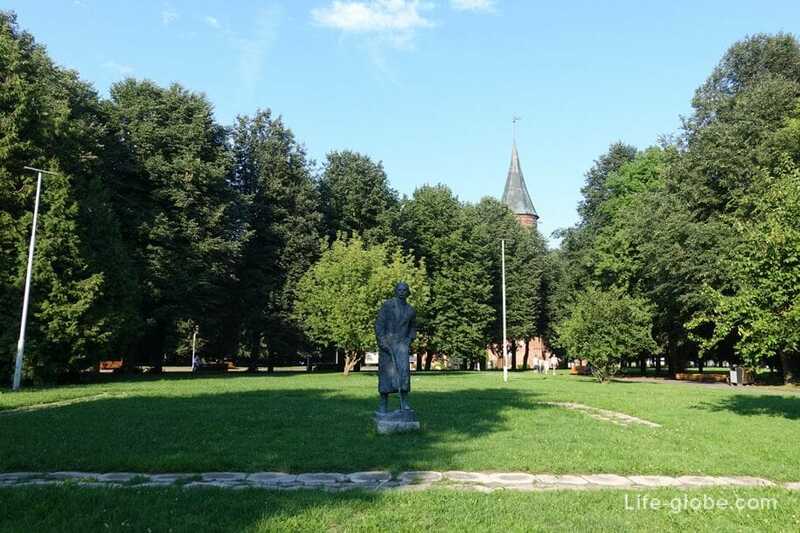 Near the grave of Kant is a bronze monument to Duke Albrecht, the founder of the Königsberg University "Albertina". 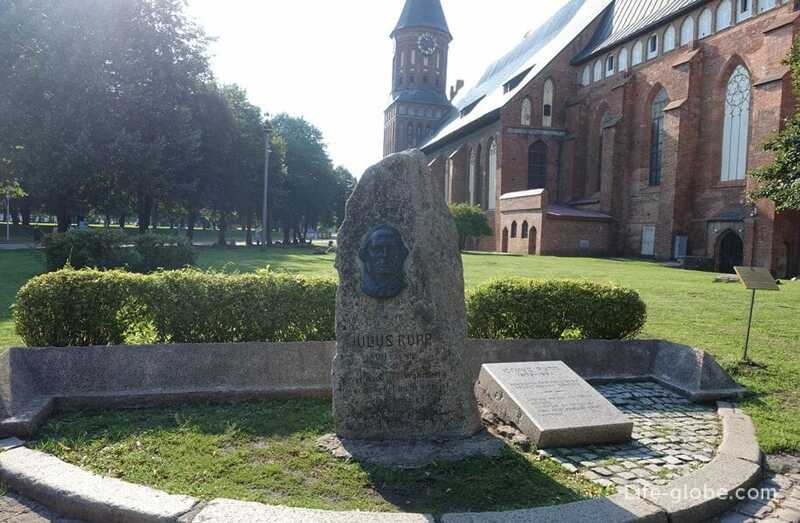 At the rear of the Cathedral is a memorial with the relief of the German progressive public figure of Julius Rupp (1809 - 1884). 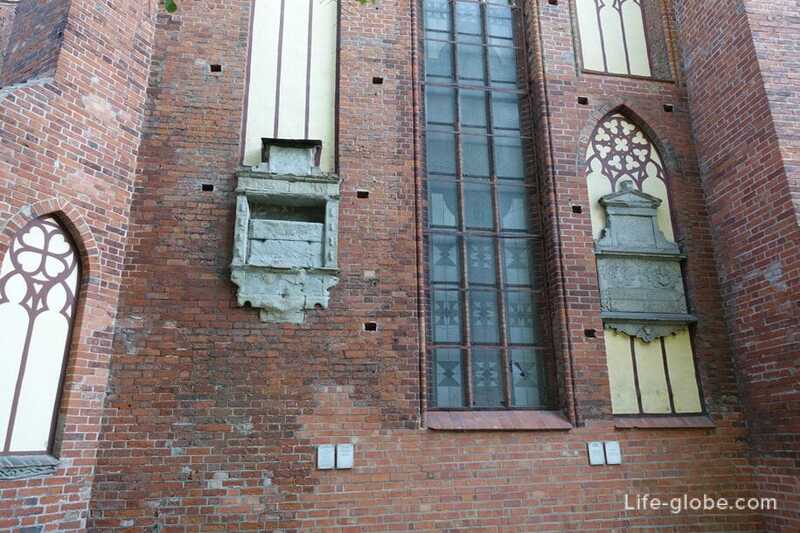 In front of the main entrance to the Cathedral is placed the composition in miniature "Symbols of Königsberg, 1930". 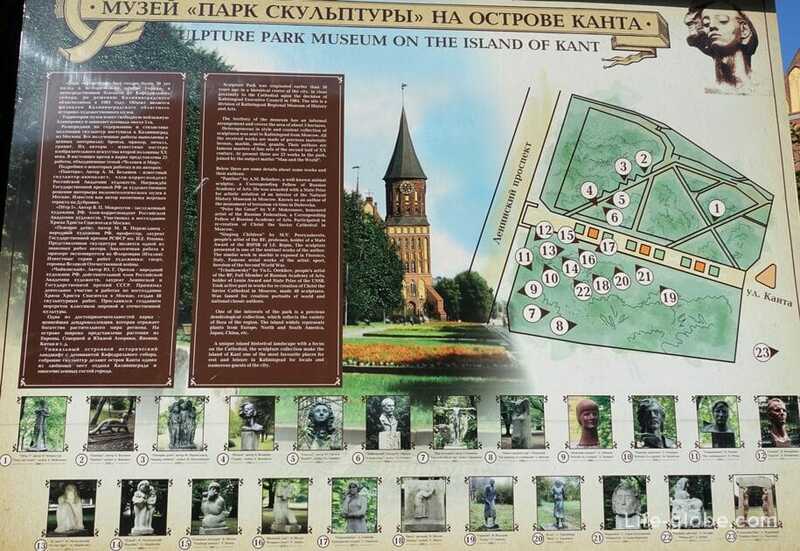 In the center of pleasure island Boulevard (street of Kanta), you can see the stone, information Board which reads "this place will be a monument, "Peace to all". 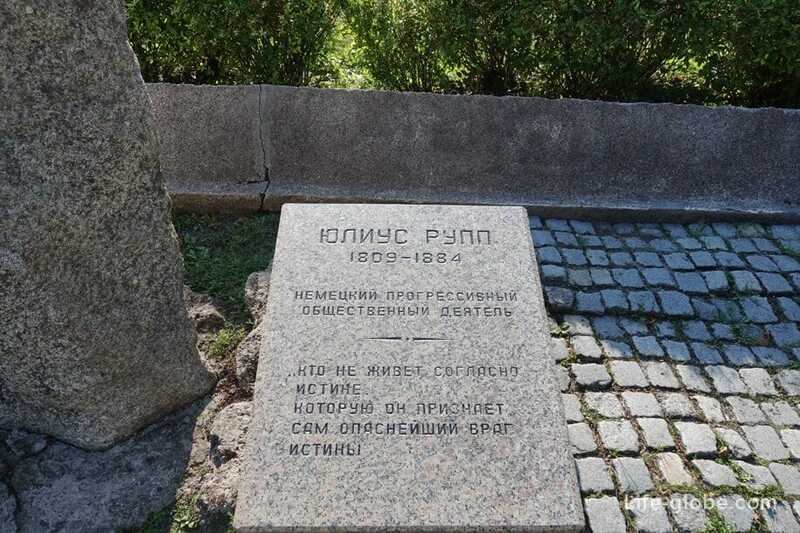 Stone is already installed at least a few years, but the monument is not. 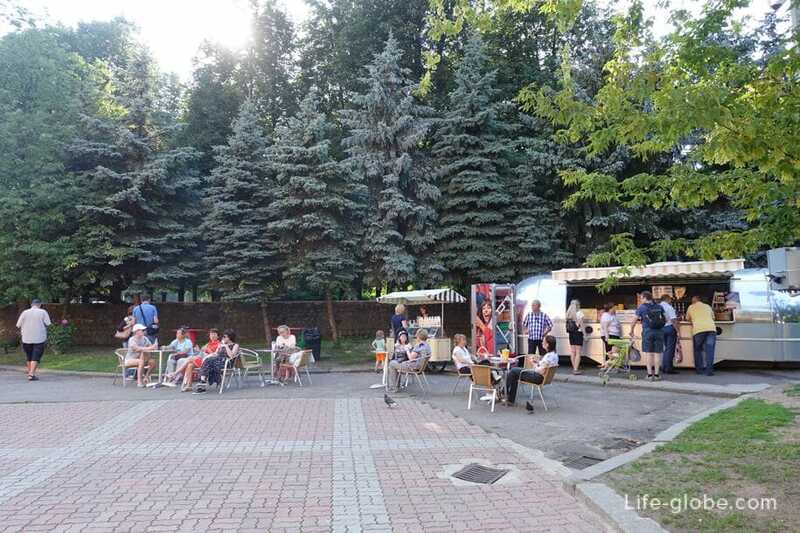 Also on the island there are several outdoor cafes and kiosks with coffee, snacks and Souvenirs, as well as public pay toilet. 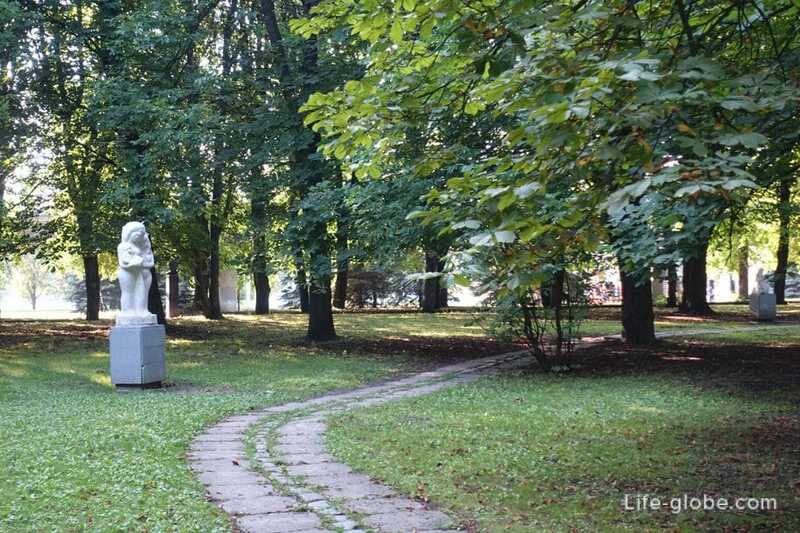 The sculpture park is a green Park and open air Museum is located on Kant island, is a branch of the Kaliningrad historical and art Museum and is a green promenade, on which are placed different symbolic sculptures. 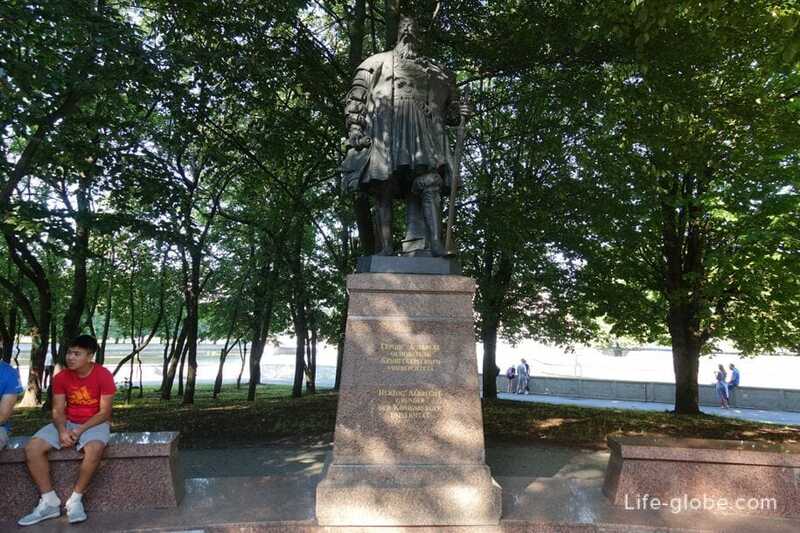 Diverse in content and style collection of sculptures arrived to Kaliningrad from Moscow. 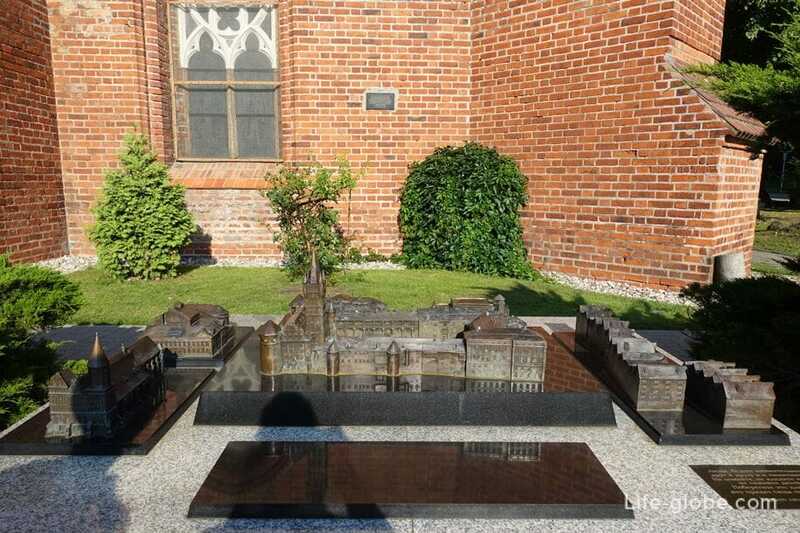 The works are made in different materials: bronze, marble, metal and granite. The authors of the sculptures - known masters of fine art in the second half of the 20th century. 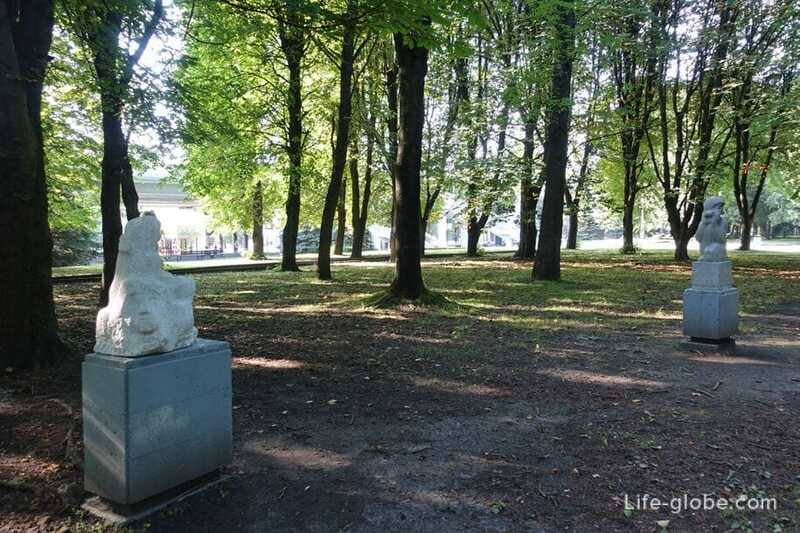 Currently, the Park features 23 works, the Association of the theme "Man and Peace". Another attraction of the Sculpture Park on the island of Kant, in addition to the sculptures, is dendrocollybia reflecting the rich flora of the region. Here are plants from Europe, North and South America, Japan, China etc. 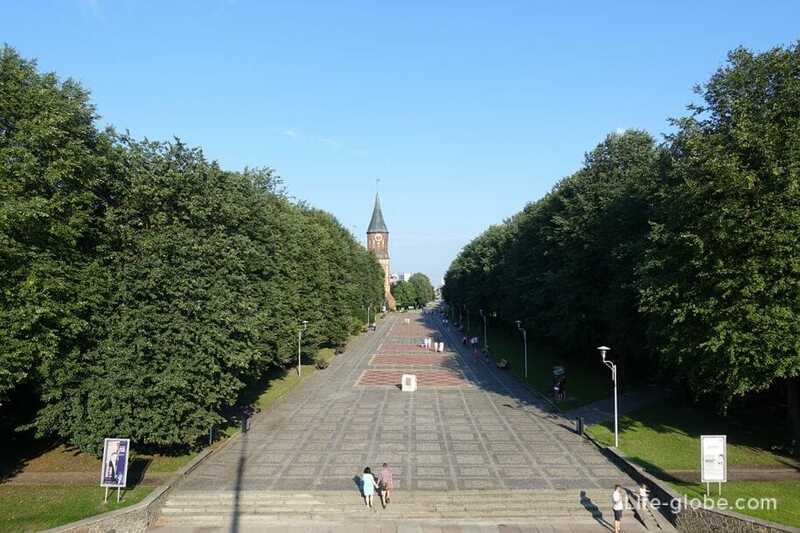 Unique island historic landscape with a collection of sculptures and dominant - the Cathedral, make the island of Kant, one of the prominent attractions of Kaliningrad, as well as one of their favorite places of recreation for residents of Kaliningrad and guests of the city.